There is a theory we are taught where the quickest direction from point A to point B is a straight line. Such a theory is all well and good, but the issue I have with theories is that they rarely honestly apply to the real world. For instance, in theory, Superman would never lose to Batman. In theory, Peter Jackson's The Hobbit would be a great addition to the Lord of the Rings Saga. 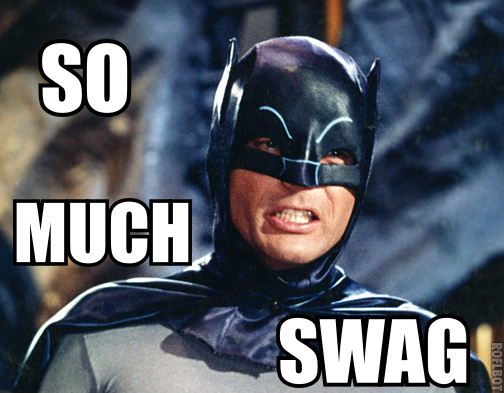 However, as we have learned, Batman is just too awesome, and the Hobbit was, to put it lightly, a disappointment. Ever go on google maps? Ever notice that google maps rarely takes you in a straight line? Yea that theory is busted too. However, in the training world, it is easy to prescribe to straight line theory and assume that progress will be linear. What I mean by this, is that if you lost added 5 pounds to your deadlift last week, or lost a pound last week, then you should continue to lose a pound every week or add 5 pounds to your deadlift every week. If either were the case, we would have a lot of 1000 pound deadlifters. The issue is our bodies. Our bodies are designed in such a way that they adapt to a given stimulus. For my fellow nerds, this adaptation is called allostasis. The goal of the body is to be in the most balanced state possible. So eventually our body hits something dreaded by many gym goers, called the plateau. Essentially, our body stops making progress and stalls; sometimes it might go backward a little bit. It can be discouraging, it can be deflating, and it may even make you want to stop working out. The beautiful thing is, there are steps we can take to avoid plateaus. I want to lay out the most important things you can do. 1.) Keep perspective - Think back to when your fitness journey began, where were you when you started. I guarantee you are far better now than you used to be. Yes, the plateau may have hit, you may have even gone backwards a little bit. This is natural, and it only means that your body has gotten fitter and stronger. Keeping the perspective that you are far ahead of where you started is crucial to keep you motivated. The worst thing you can do when you stall in progress is to stop. 2.) Remain calm - One of the worst things you can do when a plateau hits is immediately start changing everything to find a solution. I've been there, and it only makes the plateau last longer. Ever notice that when you are stuck in traffic, no matter what lane you jump to you never seem to go faster? Instead go back to my first piece of advice, and remember that you are far better than where you once were at, and then move on to my next bit of advice. 3.) Remain consistent - For my NBA fans out there, I quote the 76ers, "trust the process." Many times the best thing you can do is keep doing what you were doing. This, of course, means that while you're training, you can still aim to do more reps than last time, in fact, I encourage it. Remember that while motivation may be waning, discipline is what will get you to where you want to be. You can have discipline without motivation, and in many times you will need this discipline. There will be days where you do not want to train or eat right, but stick with the process and continue to be consistent with what is laid out before you. Most importantly, whatever your goal may be, embrace the process. There is a quote I like that says "life before death." Mostly, what this quote is saying is that all of us have a point B of death; however, rather than focus or get hung up on that we must embrace and enjoy life. The same goes for training; when you embrace the process and enjoy the discipline of training, you will find yourself far more disciplined and far less discouraged when plateaus happen. Progress stalls, and it sometimes goes backward, I hate to be the bearer of bad news, but it is true, and it is inevitable. However, if you follow my advice, you will find yourself coming out on the other side, and more importantly, your mind and character will be all the better for it.